The five rings represent the single most effective way to ensure health and longevity! Restoring your DHEA, Calcitonin and reducing free radicals are the most proven way to enhance regeneration of telomeres, the tips of DNA responsible for health and longevity! by Dr Norman Shealy M.D.Ph.D. Over a 10 year period Dr Norman Shealy discovered five energetic acupuncture circuits which help balance our elemental energies. It began when he first started research on DHEA, dehydroepiandrosterone. He had an insight that natural progesterone should increase DHEA, and indeed it did, but an average of 60%. Since most people over 40 have levels below 50% of ideals (750 to 1200 ng/dl in men and 500 to 980 in women), if you start at a level of 200, even a 100% increase does not get you to the ideal! He pondered what else would raise DHEA. Since DHEA is essentially the chemical battery of Fire energy, he knew that if he stimulated the points that connect the kidneys, the gonads, the adrenals, the thyroid and the pituitary through a window of the sky point, it could enhance Fire energy. There is no pituitary point in Chinese cosmology, so he had to intuit that one also. He found that over a 12 week period, stimulation of these points with the Shealy PainPro, which puts out 75 decibels of human DNA frequency (54 to 78 GHz), 3 minutes per pair of points daily, led to an average increase in DHEA of 60% (range 30 to 100%). Incidentally, this was in addition to what we got with the progesterone cream. Later he discovered that a combination (Youth Formula) of vitamin C, MSM, molybdenum and beta 1,3 glucan raised DHEA another 50%. And, magnesium chloride applied transdermally raised DHEA another 60%. The 4 techniques together raised DHEA 250% OVER BASELINE! Unfortunately, the vast majority of individuals will not take the 18 minutes daily to use the Shealy PainPro! Eventually he has proven that a specific mixture of essential oils, Fire BLISS, raises DHEA as well as does stimulation electrically. It takes no more than 30 seconds to apply to the 12 points! Considering the large number of people suffering for the diseases listed earlier, this Ring has the greatest clinical potential of all. Having worked with intuition for many years, Dr Shealy sensed that activating the circuit he call Air would assist with hearing, tinnitus, mental creativity (intuition), Mystical Insight, Integration and non-separatism. He later sensed that it would also be useful for Autism and Down’s syndrome, when used with the Ring of Earth, which he developed later. Using the same GHz stimulator, the Shealy PainPro, for 3 minute stimulation of each pair of points, he discovered a significant increase in Neurotensin, a natural neuroleptic and anti-nocioceptic, in one person up to 600%. Some years later he had a sudden intuitive hit that the Ring of Air would also raise oxytocin and he has now proven that this is true. 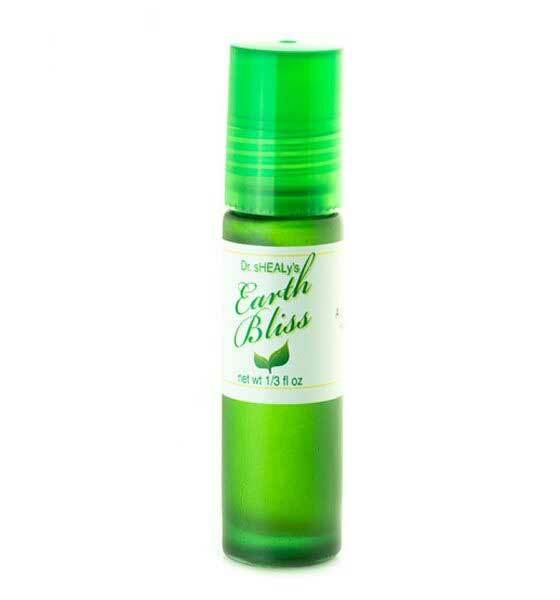 And, even more remarkably, he has discovered an essential oil blend, Air BLISS, which works when placed on the points! It is significantly helpful in relieving depression and anxiety and early reports show improvement in autism and Asperger’s syndrome. We are over 75% water and water energy is essential for Emotional Balance, Edema, contacting the Christological Heart, and Weight Loss (incidentally he found it had to be stimulated daily with the Ring of Fire to assist weight loss). Biochemically it normalizes aldosterone, when stimulated with GHz. That is, both high and low levels of aldosterone return to normal. This circuit is most useful clinically in treating congestive heart failure and edema. he has now proven that Water Bliss is as good as electrical stimulation. Our body is grounded around a solid skeleton, for which calcitonin is essential. Calcitonin not only maintains the strength of the skeleton, it is also the strongest pain reliever the body produces—40 to 60 times as powerful as morphine! It helps pain control and to control addiction and seduction! When used with the Ring of Crystal, it can be useful for Multiple Sclerosis, ALS, and Parkinsonism. He discovered that stimulation of Earth energy with GHz raises calcitonin, the thyroid produced hormone which helps maintain bone integrity. Our entire body is piezoelectric, similar to that quality in quartz crystal. Piezoelectric material, when physically stimulated produces and electric current. Since everything in the body is also electrically controlled, the Ring of Crystal is for overall balance of the energetic system and to assist Regeneration. He found that daily stimulation of the ROC with GHz leads to 85% reduction in free radicals within 3 to 5 days, by far the best decrease in free radicals of anything he has seen or found in the literature! Dr Shealy calls these energetic life circuits sacred because they are so remarkably influential in regulating this magnificent temple in which we live. The first, Ring of Fire, was the result of asking what he could do beyond natural progesterone cream to assist DHEA restoration. He sensed that electrical stimulation of specific acupuncture points could regulate the entire endocrine system and indeed it does. In hundreds of individuals, we have enhanced DHEA safely. At the same time, he has demonstrated that stimulation of the Ring of Fire is effective. Since free radicals are the metabolic problem that wrinkles, ages, rusts and ultimately wears us out, reducing free radicals is critical to health and longevity. I HAVE NOW PROVEN THAT A SPECIFIC BLEND OF OILS LOWERS FREE RADICALS OVER 80%! 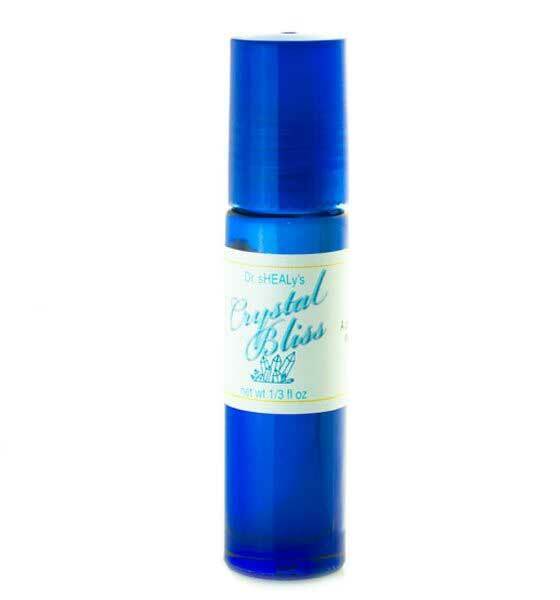 There is no known oral supplement which comes close to the efficacy of Crystal Bliss in lowering free radicals! Having proven that these circuits have specific biochemical benefits, with improvement in many energetic problems, he now calls this approach with essential oils Transcutaneous Acupuncture. Interestingly, this term has been much more acceptable than calling it application of essential oils. After all, he began stimulating acupuncture needles with electrical energy in the mid 60’s. Later, without needles, he introduced Transcutaneous Electrical Nerve Stimulation, TENS. In fact, he considers Transcutaneous Acupuncture the most important advance in acupuncture in 4000 years. Call Marcio today to learn more or to book a session of Bliss Therapy.